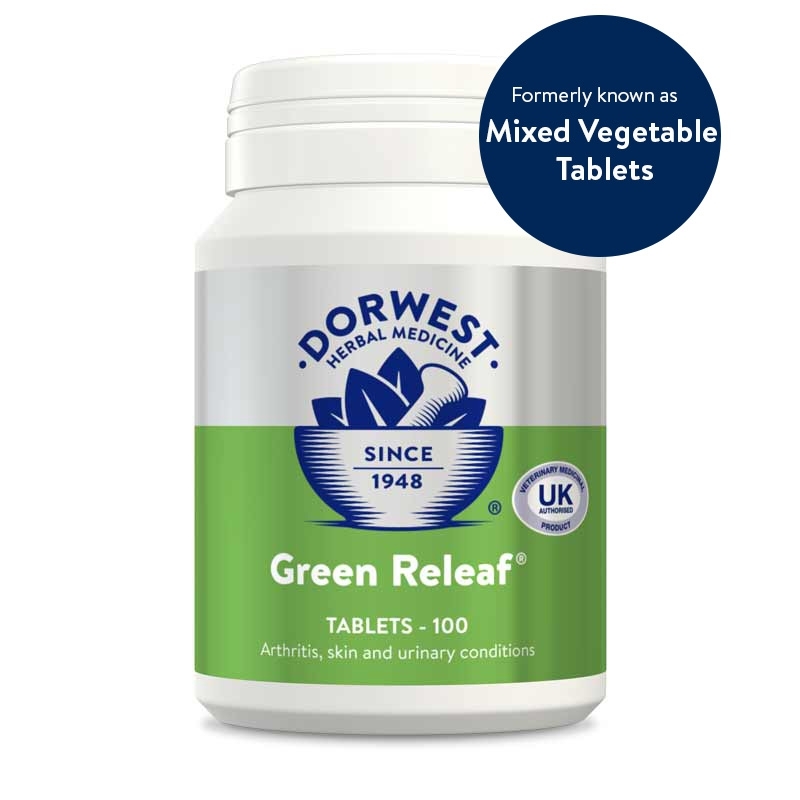 This supplement offers all the benefits of the nutrition found in three ‘super-green’ plants, in an easy to give powder. Just add it to the normal food, to boost the levels of iron, vitamin C, chlorophyll, calcium and magnesium plus bio-active antioxidants. Administration: Small dogs & cats 1 x 2.5ml measure, Medium dogs 2 x 2.5ml measures, Large dogs 3 x 2.5ml measures, Giant breeds 4 x 2.5ml measures. 2.5ml measure included in pack and equivalent to a half teaspoon. Great for tackling yeasty skin! 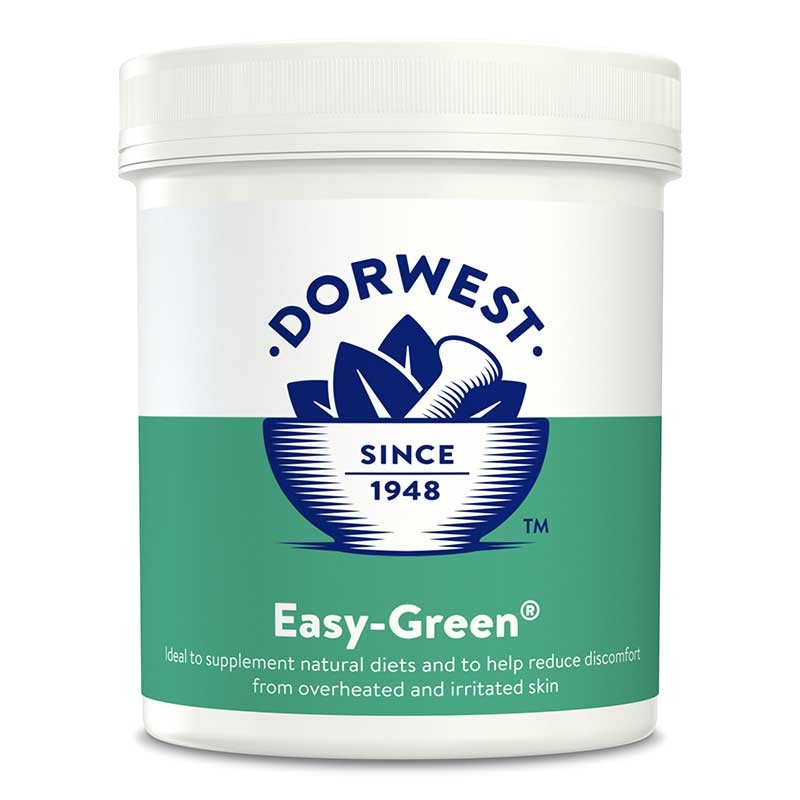 I purchased some Dorwest Easy green a couple of months ago now it was recommend to me on a Facebook group. My french bulldog suffers from allergies to dust mites and has malassezia which she is allergic to. Although it hasn't helped with the itching so much the amount of yeast that was produced on her skin as reduced dramatically due to the cooling properties of the Easy green powder. 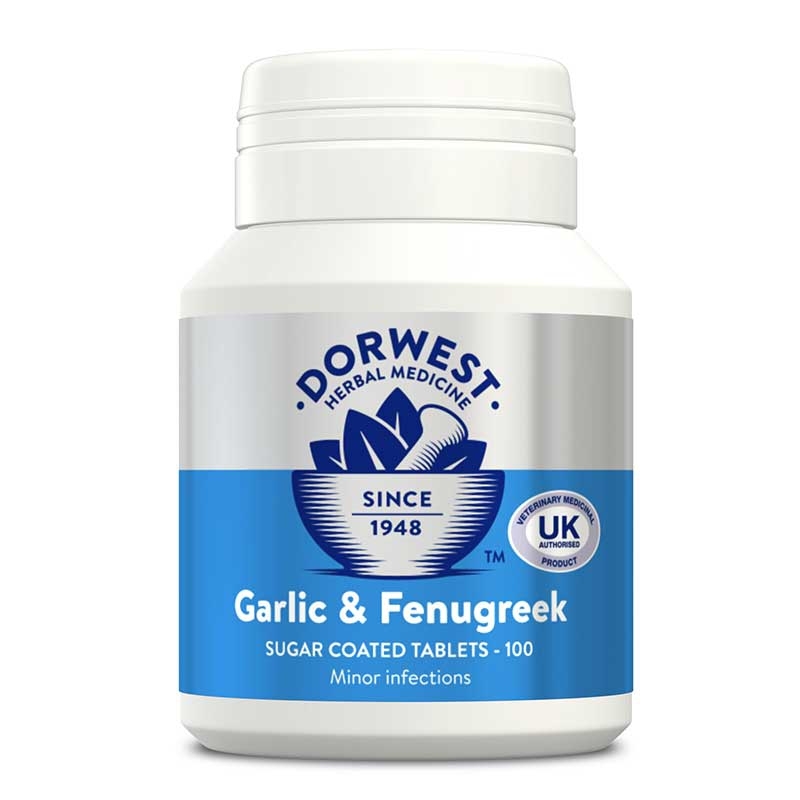 I have purchased Garlic & Fenugreek tablets along side the mixed vegetable tablets fingers crossed for more results. I started giving Easy Green in July 2014 to my Cairn shortly after he was diagnosed with thyroid cancer. He was given 3 months to live by my vet. I spoke to your Rep at Windsor Championship Dog Show and he advised Easy Green. 7 months later and another Herbal Mix added to the Easy Green my vet is amazed at the result. I know it is not a cure but it is certainly helping Rory! I know that this product isn't specifically advised for digestion but it has stopped my Bichon from having to eat grass to assist in digesting his food. 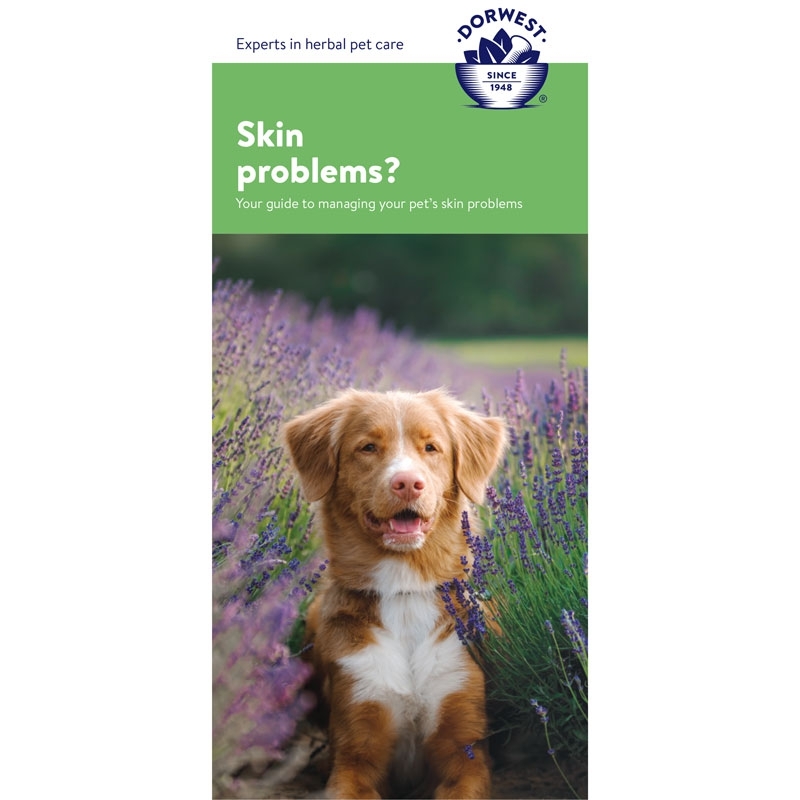 It also helps a Lab with her skin allergies. I adopted My 6 year old cocker spaniel Jack in May last year he has allergies that haven't been fully assessed but I now have him on a purely fish diet which he has improved on. I added Easy-Green to his diet a couple of months ago and his skin is nothing like as irritated. I've even been able to reduce his steroids with my Vets approval of course. All this = happy dog = happy owner!! After emailing Dorwest to check if the Easy Green Powder was suitable for my dog. I started him on it and his skin has cooled right down. I am astonished at how quickly it seemed to work he's been having two scoops over his biscuits and I'm so glad its ok to use throughout the year. 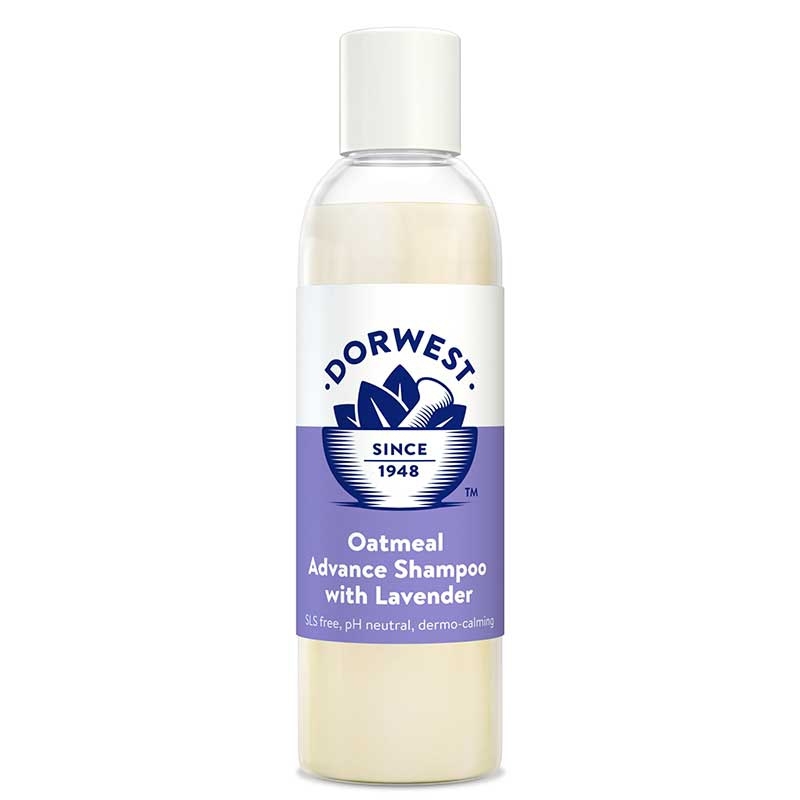 You truly are the best Dorwest and don't let anyone tell you any different I wanted you to know how happy I am with your products. These are a thing of the past now I am using this product. My chow chows suffered greatly with Hot Spots and vet bills were huge. Not any more. Now it's used as a maintenance complimentary food twice a week only. My 8 yr old Labador has an allergic reaction to grasses pollen etc. He has other Homeopathic pills but when the precscribed pot of easy Green was finished after a week the irriratations on his stomachincreased - hence the order! !